Finding the best laptop sleeves for gamers depends on several factors besides the aesthetics andlaptop from bumps and accidental falls. style bit of it. 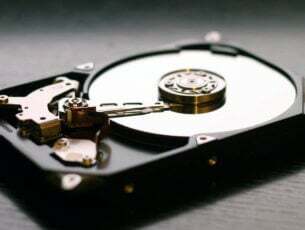 Some of the top things to look for in laptop sleeves for gamers include the storage space such as extra pockets, size dimensions, and the material the sleeve is built from. Most sleeves are made from neoprene material as it is water-resistant and its rubbery nature protects your accessories and laptop from bumps and accidental falls. If you’re scouting for the best laptop sleeves for gamers, here are our top picks, most of which are so affordable, and pretty cute too! 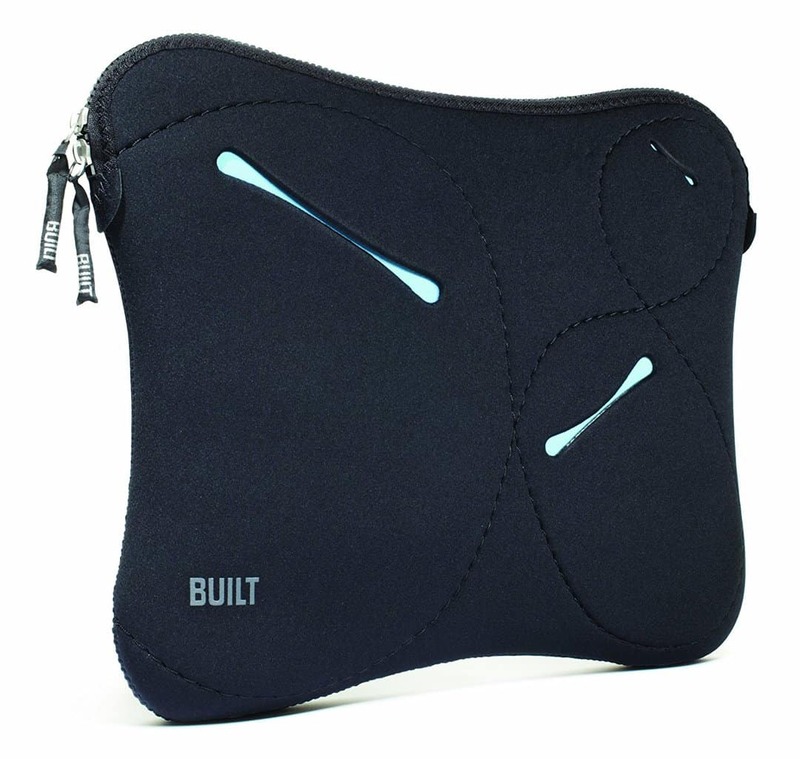 This laptop sleeve comes in black, royal blue and turquoise colors. It fits laptops of between 12.5-13.3 inches, so if you have a notebook this would be your best bet. Built with waterproof and stretchable neoprene material, this is among the best laptop sleeves for gamers to protect your gaming gear and other devices against dust, scratches, bumps, and scuffs. It comes with extra front pockets and two smaller compartments where you can keep your devices, cables, mouse, and other accessories. Plus it has a lifetime warranty on it! However, you need to check dimensions before purchase. This laptop sleeve fits most 14 inch laptops and is built with a high quality water-resistant and shockproof fabric, with a soft fluffy lining to protect your laptop and gaming gear from dust, water, and other forms of damage. 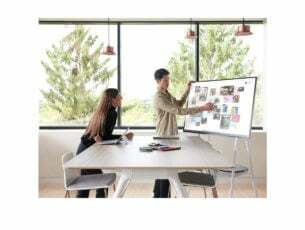 The outer expressive ridges are meant to protect your device’s screen and laptop corners from impact in the event of accidental drops or falls. It is portable, slim, lightweight, and has a Velcro fastener for a snug fit, which is why it ranks among the best laptop sleeves for gamers. The LACDO brand of laptop sleeves for gamers offers shockproof, water-resistant and moisture proof sleeves, which keep your laptop in a cool, dry place, safe from water, dust, bumps, and scratches. You can even carry it while it is raining outside and it will stay dry. Its interior is made of a soft fluffy fleece, anti-static lining, and the exterior has three zippered pockets where you can keep your little gadgets and other accessories you must move around with like your phone, mouse, and USB cables. 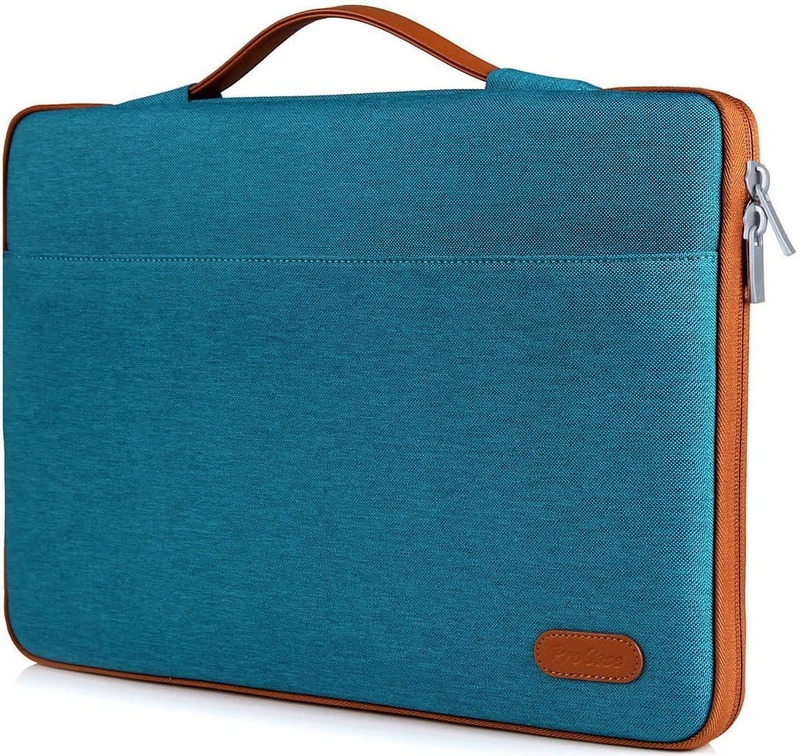 This laptop sleeve comes in black, light and dark grey, teal and turquoise colors so you don’t have to be stuck with just the usual default colors. It accommodates laptops of up to 13 inches, is simple, lightweight and portable, with extra front pockets to keep your gaming accessories. 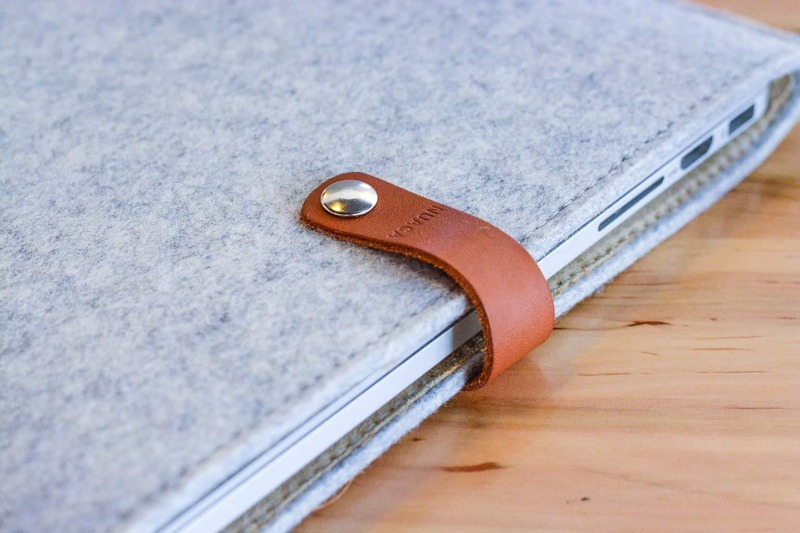 Its canvas exterior is made of waterproof polyester, which safeguards your laptop and accessories from water, dust, scratches, bumps, dirt, and accidental spills. You get an all-round protection with its soft interior lining with foam padding, plus it is so easy to carry around either on its own or in your backpack. 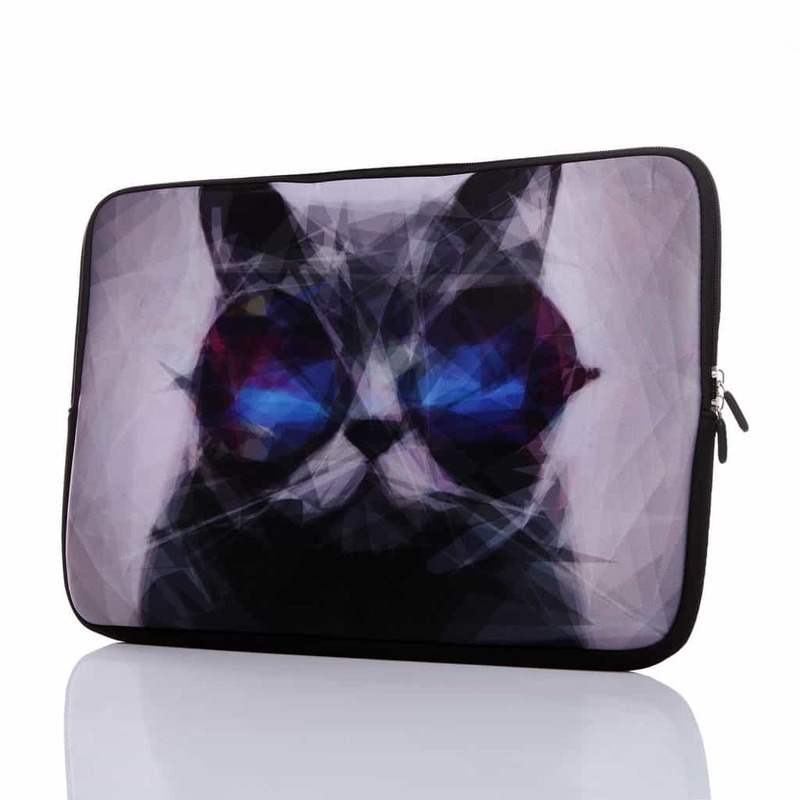 Any ‘cool cat’ gamer will want to get their hands on this laptop sleeve. Besides accommodating laptops of up to 15.6 inches, this laptop sleeve is also built with neoprene material, keeping your laptop and gaming accessories protected from water, dust, dirt and scratches. The first thing you’ll notice is the vivid colors, images, and prints on the outer cover of the sleeve, which give you diverse options to choose from if you look for aesthetics. It comes in blue, purple, blue cat, grey cat, colorful cat, and purple butterfly colors and prints. It is also easily washable, easy to dry, without fading. This laptop sleeve is also one of the best laptop sleeves for gamers. It also comes in diverse colors and prints, from blue dragon, brown white, classic blue, grey cat, cute cat, purple butterfly, and white dog. 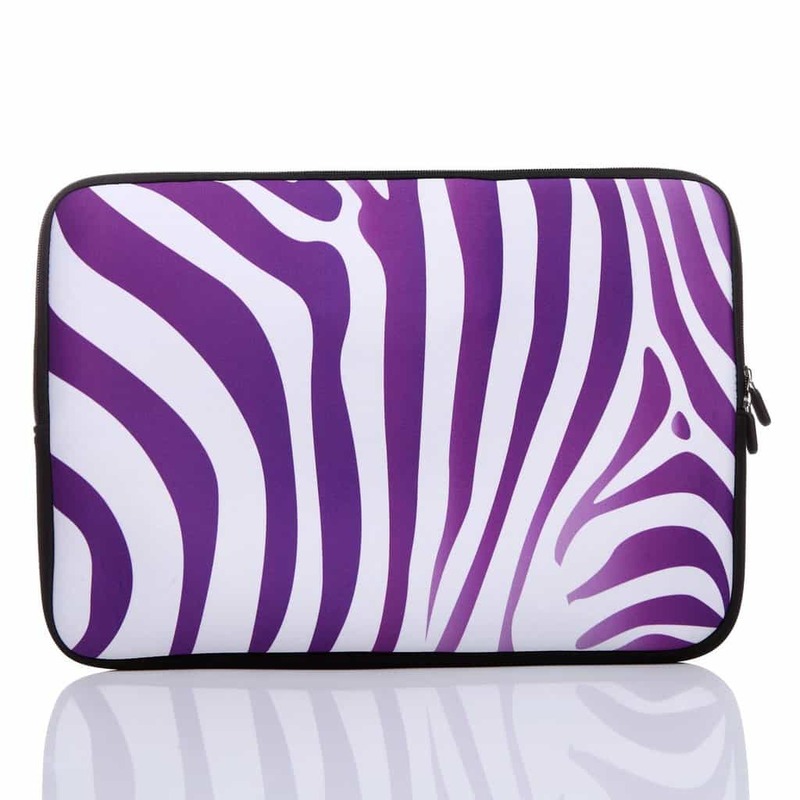 It accommodates most 13-14 inch laptops, is lightweight, portable, slim and easily slides into your backpack or tote. It also has a hidden handle that lets you carry it on its own if you just want to travel light. Built with neoprene material, this laptop sleeve keeps your gaming accessories protected from water, dust, dirt, bumps and scratches. At first glance, this laptop sleeve wows you with its sleek, creative design made of durable neoprene and an inner lining that is designed to protect your laptop from dust, water, dirt, and bumps. It also has an easy zipper opening plus its form-fitting design lets you carry it around anywhere even in your bag or totes. It can accommodate most 15 inch laptops, and comes in black color, though you can also find a similar version in fiery orange. 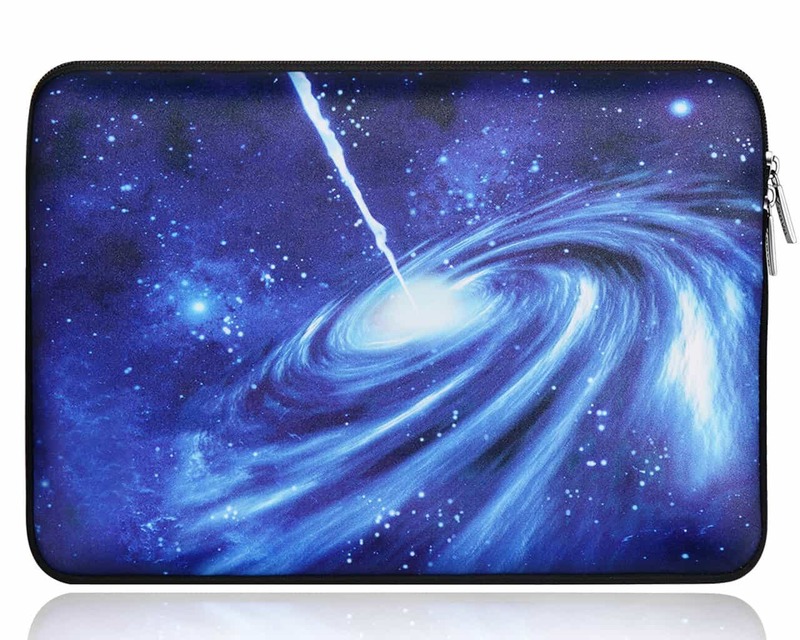 If you love the galaxy and everything about it, then this is one of the best-themed laptop sleeves for gamers you can get. It’s an easy slip-and-slide sleeve that leaves no space for your laptop to move about keeping it intact and protected. 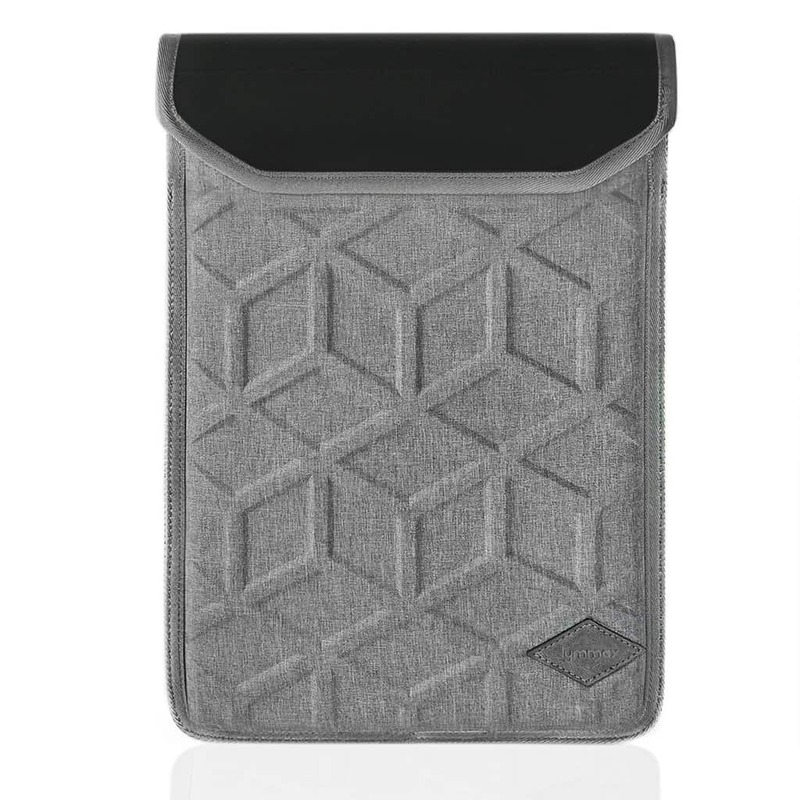 Made with a shockproof and waterproof interior that features high-performance neoprene and three layers of polyester fabric inner fleece, your laptop is safe from the impacts of elements such as rain, accidental spills, and accidental drops or bumps. 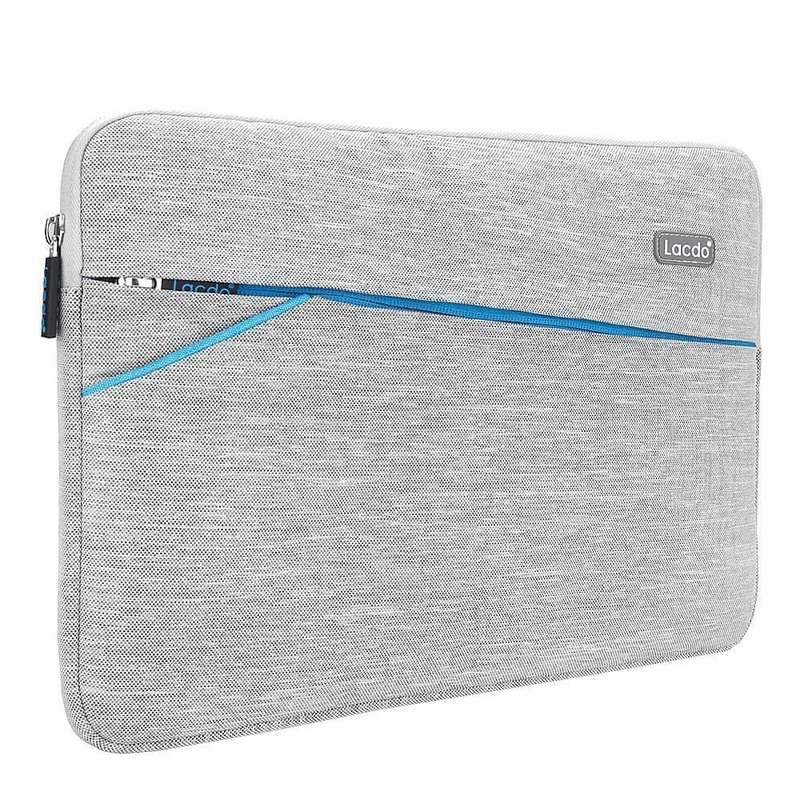 This sleeve fits most 15-15.6 inch laptops, plus comes with a zipper that lets you access your laptop and other accessories easily. Plus it comes with a 2-year manufacturer warranty. Have you found your favorite pick among these best laptop sleeves for gamers? Let us know which one tickled your fancy in the comments section below.